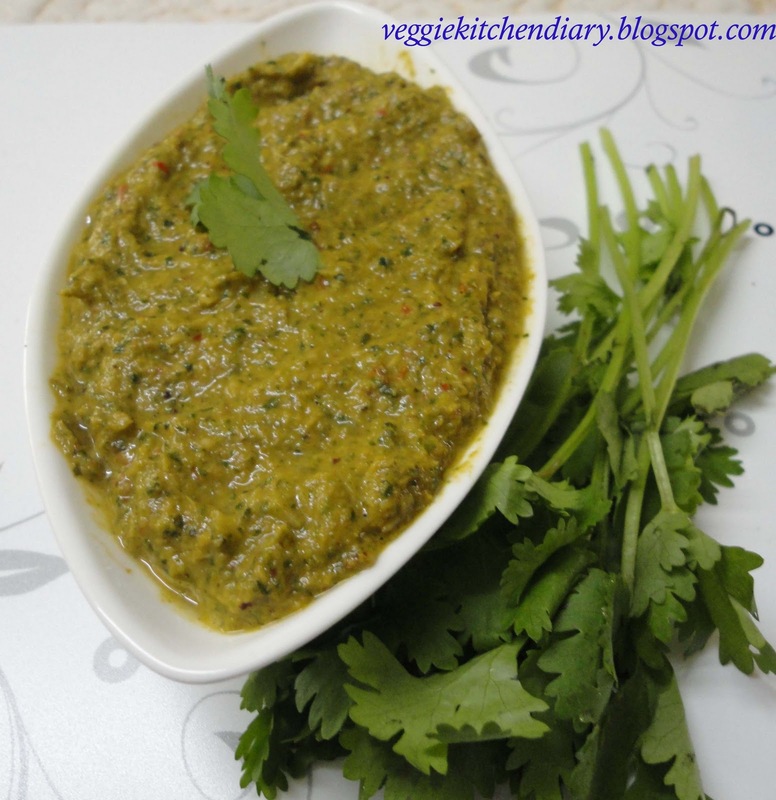 This simple and easy chutney, goes amazingly well with Idlis and Dosas.The fragrance of fresh mint and coriander , the sweetness of fresh coconut come together in this traditional chutney. Mint Coriander coconut chutney, is a variation to the traditional coconut chutney, that has a sweet flavor due to the coconut, coriander and the green chillies balances the flavors by giving it a hint of spice. All you need to do is saute the greens and chillies, grind them along with fresh coconut and infuse with a seasoning of mustard seeds and fresh curry leaves giving it a fragrant touch. 1.Heat oil in a pan,add mustard seeds,urad dal fry till dal turns golden brown.Add red chillies and hing. 2. Now add sliced onion ,tomato, grated coconut,curry leaves and coriander leaves.fry for some time till the raw smell goes. 3.Switch of the stove and let it the mixture cool for some time. 4.Blend all the ingredients for grinding into a slightly smooth paste. 5.Serve with idli or dosa. The chutney was excellent.enjoyed it.